Omni Micro Systems' OmniHealth system features HealthMate (also called Nurse Maggie), a comprehensive avatar-based health coach, personal health assistant and wellness interaction program. OmniHealth contains integrated hardware and software solutions. HealthMate is a platform application for Android, iPhone and Windows integrated with and supporting OmniHealth. It is a voice-activated, low-impact, avatar-based medication and appointment reminder system designed specifically for seniors and disabled. 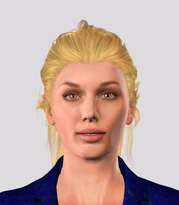 We call our generic avatar coach "Nurse Maggie", but all avatars can be customized for the individual user. HealthMate helps with care coordination, medication compliance and basic activities of daily living. HealthMate is our custom-designed, avatar-driven application. In development is our integrated tablet/ PC and software system designed specifically for seniors/ elders and those with unique physical and motor abilities requiring facilitative and adaptive technologies. We also work with vendors to integrate this patient information onto Smart Cards, and to interface with EHR data. It has extra usability features for those who have trouble using standard keyboards and devices, those who have cognitive disabilities and those who respond well to personalized interactions rather than emails, texts or other more mechanical communication means. HealthMate is available in several global languages. The avatar can be customized for caretakers and family members in the senior's/ elder's life for better recognition, acceptance and comfort level.